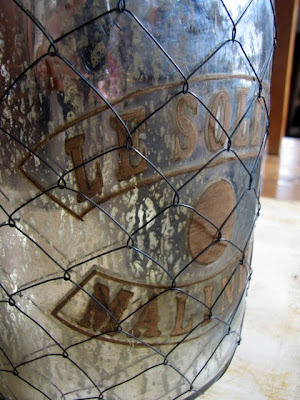 The Drill Hall Emporium: new in store...french grain sack, mercury bottle lamps, log basket, painted trunk and more! new in store...french grain sack, mercury bottle lamps, log basket, painted trunk and more! We have only just had these French mercurised bottles converted to table lamps, I think they are fantastic and very unique. They are silvered on the interior of the bottle and have muted gold French lettering. There are only 2 of these in the store. 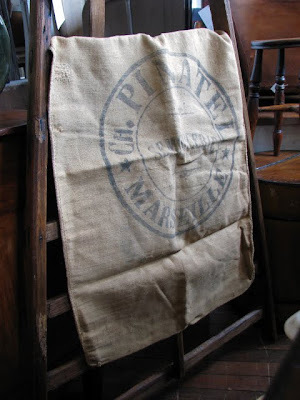 Also new in this week is this decorative French grain sack, again with French lettering. This would date to the early 1900s. 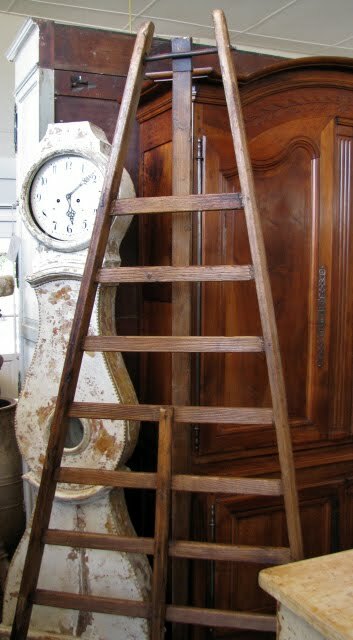 This pine French orchard ladder arrived with our last shipment but we have only just had a chance to wax it. It has heaps of character. 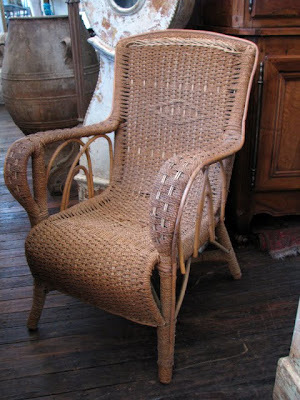 This sea grass verandah chair has also just arrived. It is in such good condition for its age, and extremely comfortable. Lemonade, anyone? 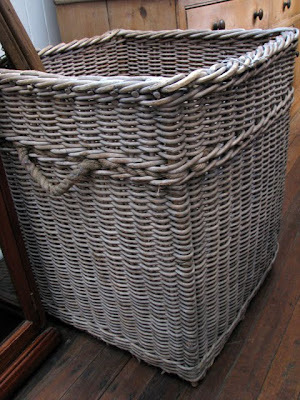 I was excited to find this large wicker basket in Hobart during the week. 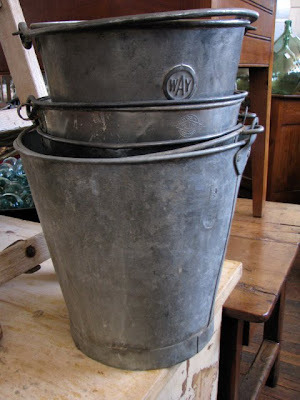 It has rope handles and would make a great log basket. It has a wonderful weathered look to it, too. 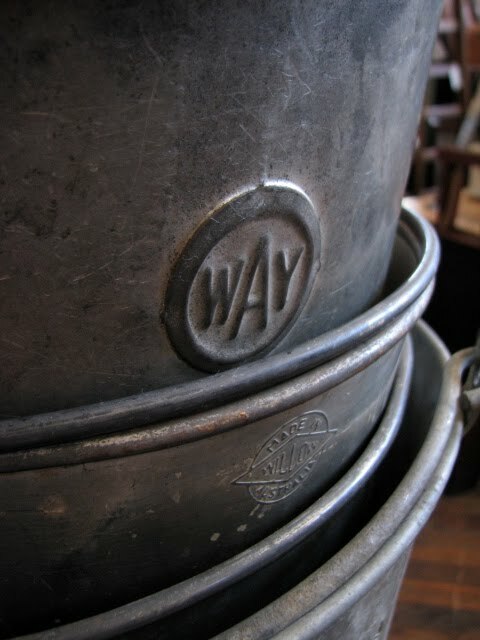 Baskets of this proportion are becoming increasingly hard to find. Some of which have maker's names impressed into them. I am not sure why this particular gentleman was "wanted". . . any ideas? It' s really fantastic. I'd like to see it,lamps wow!!! As always the things arriving in your store does not dissapoint! Mercury glass, love the stuff! I did a silly thing with one of my mercury glasses urns and washed them.....yes, I know, it did start to peel off in places but was still rather lucky. Won't do that again! 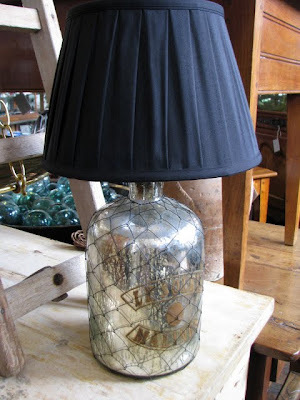 The lampshades suit the base, you would have to be pleased with how they have turned out. I was reading something recently that said the best lampshade for releasing gorgeous soft light is a silk shade.....something to put on my 'to do' list. Loved seeing all of your other treasures too, and I know I'm not very original but maybe the 'wanted' is in relation to a convict years ago? 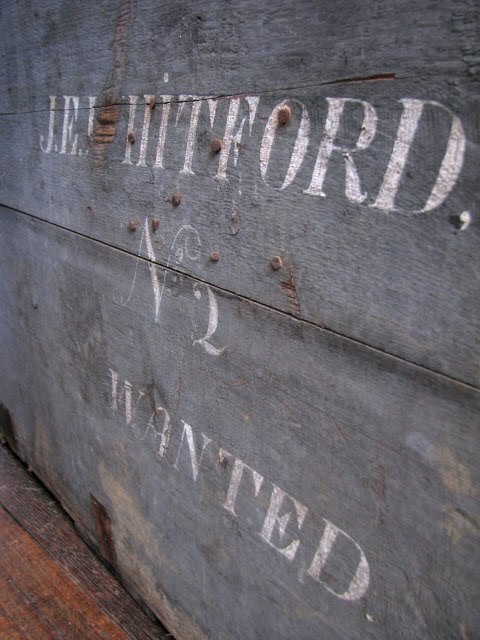 Could the 'wanted' stamp on the trunk apply to whether or not it was required in the gent's cabin whilst he sailed or alternatively, to be put in the hold with the luggage to be picked up at the end of the voyage? Thus 'wanted' meant that said chap had his day to day bits and pieces in the trunk for everyday use? 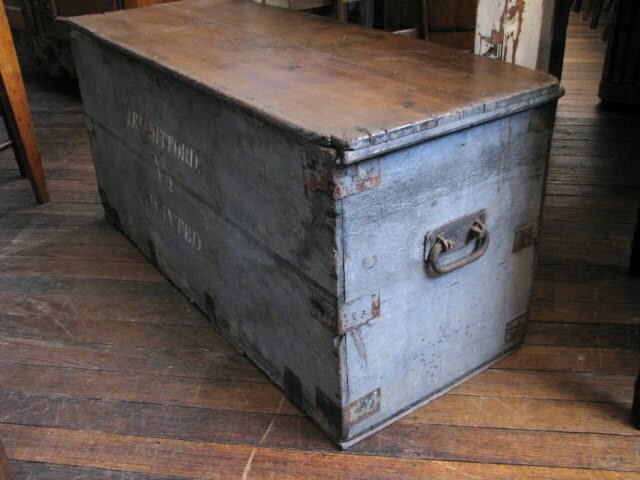 Looking at the style of trunk, I expect he wasn't travelling first class, but what a lovely piece of patina and history!